The 39 North district and the connections officials hope to make between plant science organizations the Danforth Center, BRDG Park, the Helix Center, Monsanto and the surrounding community. The public can hear more about plans for 39 North, the 600-acre plant science innovation district in Creve Coeur, on Thursday night. The Danforth Center is hosting the discussion, which will include panelists Creve Coeur Mayor Barry Glantz, Travis Sheridan, CIC Venture Café Global Institute President, and Sheila Sweeney, St. Louis Economic Development Partnership CEO . The 39 North district encompasses the Danforth Center, BRDG Park, the Helix Center and Monsanto in Creve Ceour. 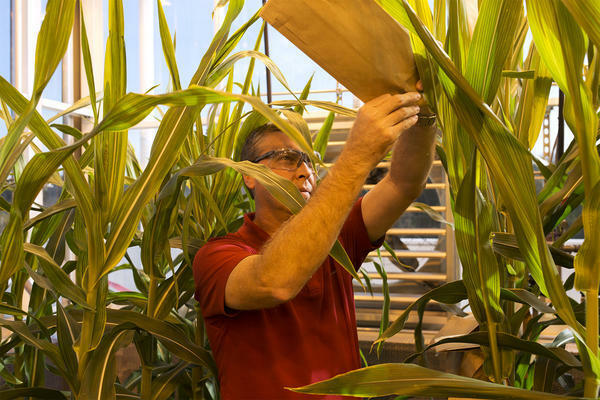 It’s an effort to better connect the plant science assets with one other, as well as the surrounding community, and to make the area more attractive to companies and employees. “We’re trying to play to a genuine, authentic strength in St. Louis and Missouri for agriculture and all the technology types of industry that are connected to agriculture,” said Janet Wilding, vice president of major projects at the St. Louis Economic Development Partnership. The Partnership is managing the effort to implement the master plan for the district, while working with the plant science organizations, St. Louis County and the city of Creve Coeur. The Olive/Lindbergh interchange —The plan calls for redesigning the four-leaf clover style interchange into a “folded diamond,” which would allow new development north of Olive Boulevard. The East-West Gateway Council of Governments is expected to vote this month on whether to release $4 million in federal funding for that project. St. Louis County would match that funding with $1 million. 39 North District Center — The plans calls for a new building that would serve as the center of the district. Wilding said an request for quotation has gone out for qualified developers. The building’s first floor would be open to the public, but upper floors could include wet labs, office and/or co-working space. Greenways — The plan calls for several connections between existing buildings and the surrounding community. Great Rivers Greenway awarded the St. Louis Economic Development Partnership a $400,000 grant to begin planning for how to connect the district with a larger trail network Centennial Greenway. Wilding said the first priority will be a connection between Stacy Park and the Helix Center. The city of Creve Coeur’s Planning and Zoning Commission will hold a public hearing Monday on whether to adopt all or parts of the district’s master plan into the municipality’s own comprehensive plan. Mayor Glantz said the planning process has been well thought-out and fits well within the city. “Myself and the City Council and city administration are very excited about the potential it brings not only to Creve Coeur, but to the entire St. Louis region,” he said. The mayor said the plant science companies and organizations are attracting high-paying jobs that are good for the entire community. Thursday’s event at the Danforth Center begins with a networking reception at 5:15 p.m. The panel discussion is from 6-7 p.m. Losing a corporate headquarters is generally not considered good news. Yet the announcement that Creve Coeur-based Monsanto is likely to be acquired by Bayer is being viewed by many in the startup community as a positive. Researchers at the Donald Danforth Plant Science Center are working on a device that they hope to eventually sell to farmers. 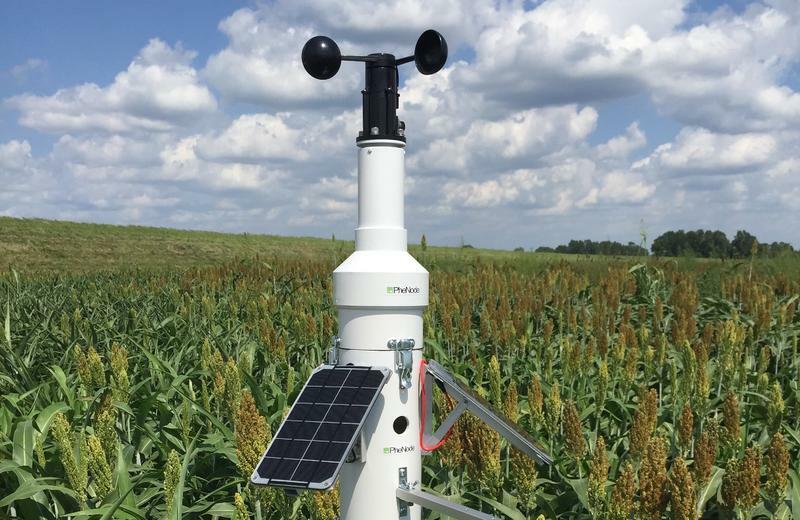 The PheNode can monitor a variety of crop conditions, such as wind speed, humidity, soil nutrients, even air quality, and it can take pictures. Researchers and farmers could then get that information sent to their mobile devices as often as they choose. 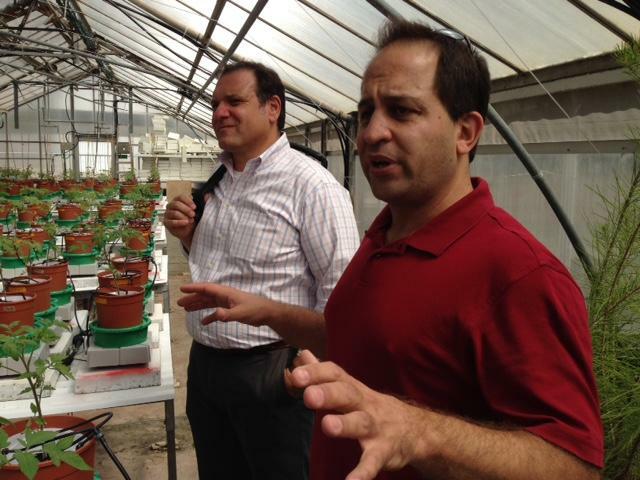 Monsanto held a ribbon-cutting ceremony on Friday to open 36 new greenhouses at its Chesterfield Research Center. The celebration of the state-of-the-art greenhouses was held against the backdrop of last month's announcement that Bayer will buy Monsanto in a $66 billion deal. Monsanto CEO Hugh Grant told the crowd, made up of mostly employees and a few members of the media, that Bayer's acquisition is an opportunity. Listen to the story from St. Louis Public Radio's Maria Altman here. 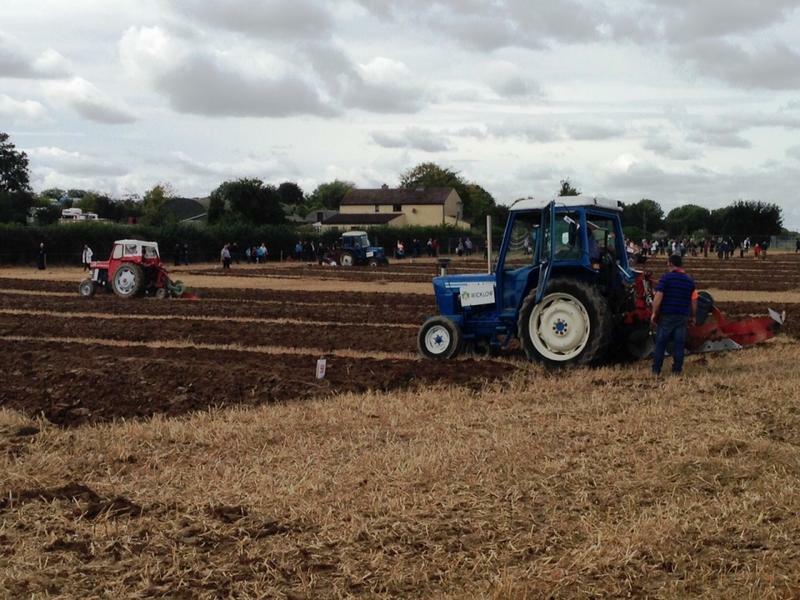 It’s hard to overstate how big of a deal the National Ploughing Championships are in Ireland. The U.S. Ambassador to Ireland, Kevin O’Malley, was also there, wearing a business suit, green tie, and wellies, the rubber boots everyone wears to "the Ploughing."